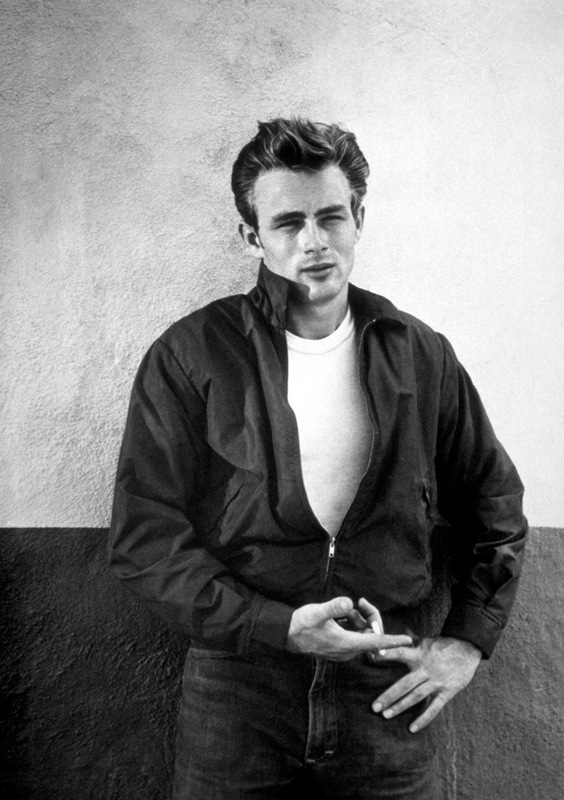 Rebel Without a Cause (1955) is one of the 1001 classic movies you should see. It stars James Dean as troubled teen Jim Stark. Each Monday, I'm going to recommend a classic movie you should see (for the reasons behind the 1001 series and reviews of earlier films covered go here). This month I'm celebrating Easter with three films that are related to the spring holiday. This week's selection is the teen drama Rebel Without a Cause (1955), which begins with a memorable jail scene on Easter night. Rebel Without a Cause starts when troubled teen Jim Stark (James Dean) is hauled into a suburban police station on Easter night along with two other young people from middle-class families: Judy (Natalie Wood) and Plato (Sal Mineo). They meet again the next day at Dawson High School -- it's Jim's first day at the educational institution -- where, after a memorable field trip to the Griffith Observatory, the three young people form bonds of friendship and love that are tested by a series of tragic events. Warner Bros. bought the rights to psychiatrist Robert M. Lindner's case study Rebel Without a Cause: The Hypoanalysis of Criminal Psychopath in 1944, but the project languished in pre-production for several years until studio chief Jack Warner decided to capitalize on successful juvenile delinquent dramas like The Wild One (1953) by dusting off the project and handing it to director Nicholas Ray and up-and-coming star Dean for a lavish CinemaScope production that was filmed on location in suburban Los Angeles. The result was a massive box-office hit that popularized teen movies and made Dean, who died shortly before the film's release, into a posthumous legend. Rebel Without a Cause isn't a traditional Easter movie, but the events in the film begin on Easter night and end roughly 24 hours later. In fact, the main reason for all three characters juvenile delinquency is the manner in which each of their family's treated them during holiday celebrations. Both Jim and Plato are left alone while their parents celebrate somewhere else, and Judy runs away because of her father's cold behavior during their Easter celebrations. 1. Teen movies. Rebel Without a Cause wasn't old Hollywood's first foray into the teen years, but the film does present a sharp contrast with earlier films like the Andy Hardy series, which present middle-class teens as carefree bobbysoxers who have close relationships with their doting parents. 2. Dean. Dean made three films before his untimely death in a car accident, but Rebel Without a Cause is the movie that made the the Indiana-born actor an enduring old Hollywood icon. His wardrobe of a leather jacket, jeans, and motorcycle boots are widely imitated even today. and the role of Jim Stark was the best onscreen use of his rather affected method-acting style. 3. CinemaScope. Film scholar Doug Tomlinson cites Ray as a master of CinemaScope, which was a widescreen format designed to lure fifties audiences away from their TV sets. Watch for his intricate compositions during the opening jail scene and the "chickie run" sequence. 4. Sal Mineo. Dean deservedly gets the lion's share of acting plaudits for Rebel Without a Cause, but there are several great performances in the film, especially from Sal Mineo, who justly earned an Academy Award nomination as the doe-eyed misfit Plato. 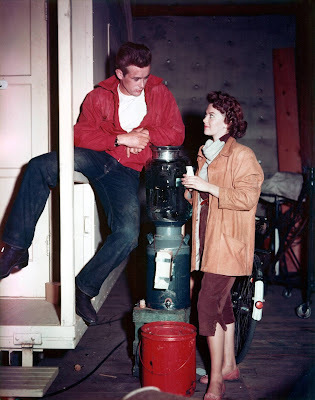 James Dean and Natalie Wood on the set of Rebel Without a Cause (1955). Other critics: Rebel Without a Cause has a 96 percent fresh rating at Rotten Tomatoes and Leonard Maltin writes that "this film of youthful alienation spoke to a whole generation and remains wrenchingly powerful" in a 4-star review in his Classic Movie Guide. Critics in 1955 had mixed opinions of the movie. The Time magazine critic called Dean an actor of "unusual sensibility and charm," but the Variety writer was much less impressed. He/she called the film "hideously exaggerated" and felt that most adults would make "a silent prayer that they never meet such youths except on the motion picture screen." The bottom line: Despite a few dated elements, Rebel Without a Cause is one of old Hollywood's most emotionally powerful dramas. The directing is masterful, the performances are superb, and the ending is among the most heart-wrenching ever put on celluloid. 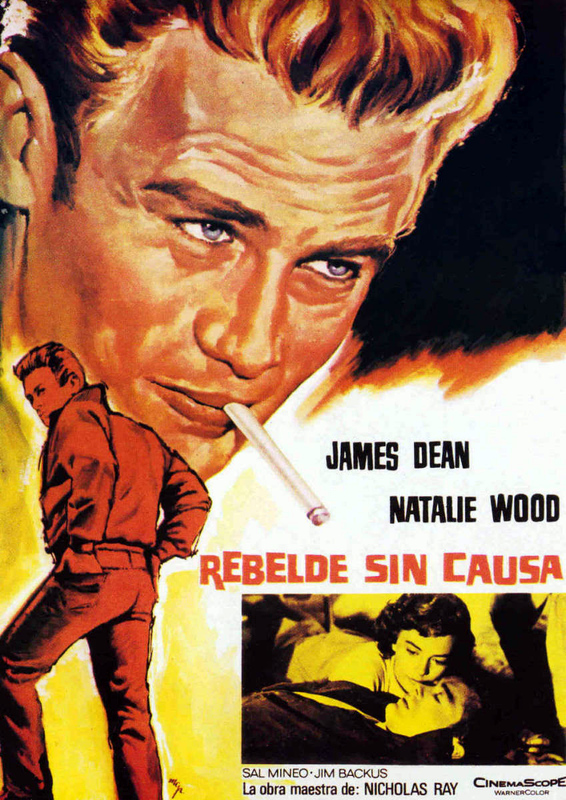 Availability: Rebel Without a Cause will air on TCM at 8 p.m. June 15 and 3 a.m. July 25. Also available on DVD, Blu-ray, and video on demand. Next week, I'll kick off the May theme of the leading ladies of 1942 with Greer Garson and Teresa Wright in the homefront classic Mrs. Miniver (1942).